The Union of Municipalities of Montenegro is a national association of local authorities of Montenegro. 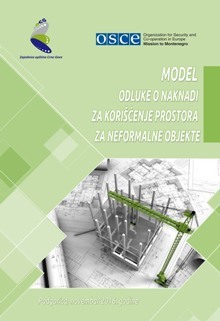 Regulating the status of informal structures is of special importance for the local government, which, according to the Law on Local Self-Government and the Law on Spatial Planning and Construction, within its own jurisdiction, governs building land and create conditions for the construction of buildings. Usurpation of space by illegal constructors, local governments are not able to fully and in a quality manner pursue policies of planned development of the municipality, as well as being deprived of the income from which is made municipal construction land, or in order to improve municipal infrastructure as a key requirement for quality of life and work of citizens. 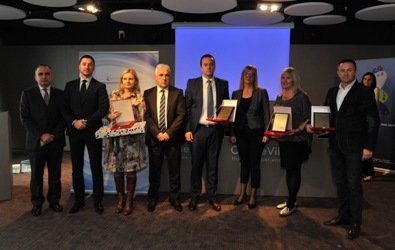 Awarding Ceremony for the Best Practices in Local Government in Montenegro 2016 was organized on 12th December 2016 in Podgorica. 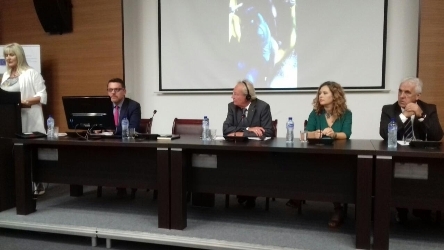 The Program has been implemented for 9 years by the Union of Municipalities of Montenegro in the partnership with the Ministry of the Interior and with the support of the Organization for Security and Cooperation in Europe – OSCE Mission to Montenegro. 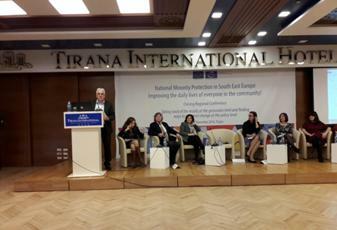 The final regional conference of the project “Improvement of human rights and protection of minorities in Southeast Europe” was held from 15th to 17th November 2016 in Tirana. The joint regional project of the Council of Europe and the European Union aims to improve access to the rights of minorities at various levels of government, based on the standards of the Council of Europe in this area and in particular on the basis of the Framework Convention for the Protection of National Minorities (FCNM) and the European Charter for Regional or Minority Languages (ECRML). By “Open Day” on 16 September 2016, the Municipality of Tivat is characterized by obtaining the Council of Europe prize for one of the best projects of social inclusion of Roma and Egyptians in the region. The Municipality of Tivat has implemented the project “RE assistant and mediator in the classroom”, which has provided support to members of the minority population for inclusion in the education system. 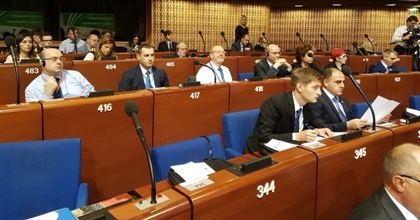 The project was implemented within the regional project of the Council of Europe “Promoting Human Rights and Minority Protection in South East Europe”.